If you’re reading this post that’s mean you have already some good knowledge about smart watches and you’re just confuse between Fitbit Blaze vs. Fitbit Charge 2. Don’t worry after finishing this blog post you will find which is best for you that suit your requirements. Fitbit is one of the most trusted brand for known for technology devices that measure data such as the number of steps walked, heart rate, quality of sleep and steps climbed. 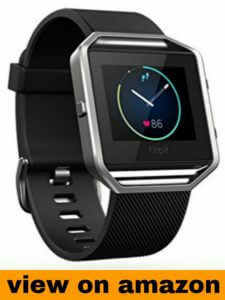 Fitbit Blaze comes with controversial design, bulky and pretty much older watches like 80s. If you’re who is looking for stylish and morden then you shouldn’t go with this retro style look. But this is so comfortable to wear and very lightweight. It will track your workouts, monitor your performance stats, and gauge your progress. There are lots of things you can do this watch to improve your fitness to next level like PurePulse continuous heart rate and multi-sport modes enhance every exercise. It let you measures that multi-sport tracking to track runs, cardio, cross-training, biking and more. It has a SmartTrack that effortlessly and automatically record other workout on dashboard. It’s screen is bit bigger than other watches, i think it’s designed just because it accommodate more health-related data in one screen, not only this it will also show SMS, Call details and reminder etc. You can also play music with this watch. It can run 3-4 days in one single charge so battery back up is not a issue, it’s awesome. This watch look very stylish and elgant and comes with 6 different color option to choose from. It’s packed with all essential features like All Day Activity, Auto Sleep Tracking, SmartTrick, Reminder to Move and Long battery life. As well as you will also get soms standout features such as PlusPure Heart Rate, Mutlti Sport tracking, Call, Text and Calendar alert and Cardio fitness level. You can also see call details, SMS, Reminder etc. Battery backup is also very good, you can ise 4-5 days in single full charge. If you’re looking for a good looking smart watch with all fitness activity tracking then this could be good option. We will suggest you to go with Fitbit charge 2, it’s $50 cheapter than fitbit charge and offers all essential features and good looking as well. Where as FitBit Braze offers you two additional features that you will not find in Charge 2 which is Music Control Features & On-Screen Workouts. What you should buy ? 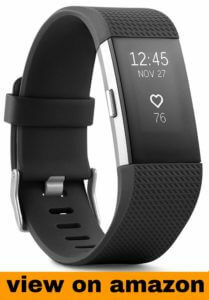 If you like Fitbit braze look and can invest upto $200* then you should go with it you will get two more features on screen workout and music control but if you want to save $50* and want a good looking and slim smart watch with all essential features then you should purchase Fitbit charge 2. Our recommendation is FitBit Charge 2.